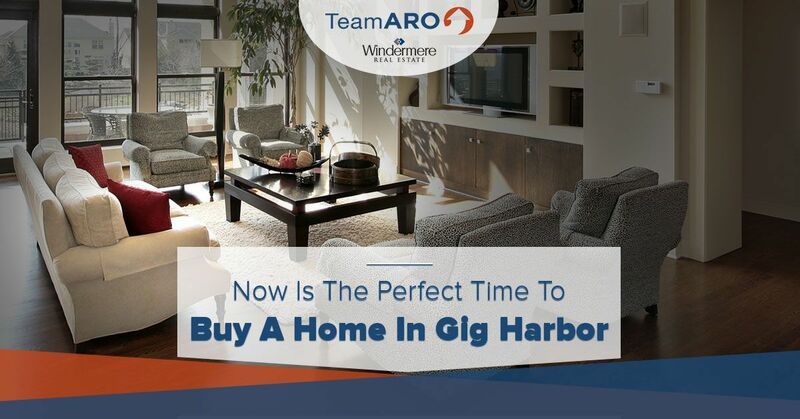 While Seattle is probably the first city that comes to mind when you think about real estate in Washington, Gig Harbor is one of the hottest and fastest-growing cities in the state. In today’s post, we’ll dig into details about the housing market and explain why now is the time to buy. If you would like professional assistance from an experienced Gig Harbor realtor, then get in touch with a member of Team Aro. Whether you’re looking to buy a luxury home with a waterfront view or you need to find the perfect location for your growing family, we’re here to bring your dreams to life! As we explained in a previous post, the housing market in Gig Harbor is nothing short of impressive. The average price of a home listed in Gig Harbor is $569,000, and a recent report estimates that home values will appreciate more than 7.5 percent in the next year alone! With the mortgage crisis still in the rearview mirror for many Americans, millennials and older Americans alike are hesitant to take on housing debt of any kind. However, choosing to purchase an investment property has proven to be a lucrative option for the majority of Gig Harbor residents. In fact, 83 percent of the residents in Gig Harbor are homeowners themselves, while others choose to rent for an average price of $2350 per month. While the majority of Gig Harbor residents are employed in full-time, white-collar jobs, there’s certainly no shortage of fun things to do in your spare time. The area is well-known for its beautiful trails and scenic areas, especially given that it’s located so close to the water. Gig Harbor has seen an influx of young professionals in recent years, and this has created a demand for hip restaurants and a lively nightlife scene. 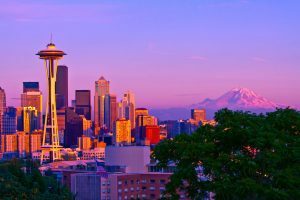 Seattle is only about 50 minutes away by car, but if you’re looking for a more scenic route, then you may want to think about taking the ferry. Simply put, Gig Harbor is the ideal mix of city and small-town life, no matter your age or lifestyle.